The Sony Xperia Z5 Premium wasn’t a brilliant phone, but it was ahead of the curve in one key way: it had a 4K screen. 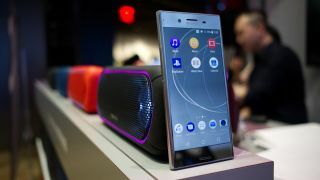 But it was an advancement that rivals seemed in no hurry to match, topping out instead at QHD, and which Sony seemed uninterested in repeating, instead sticking to 1080p flagships. That is, until now, as Sony has just followed the Xperia Z5 Premium up with the Xperia XZ Premium, a flagship phone with a 4K screen of its own, plus an array of other cutting edge specs. But just how much has changed since Sony’s last 4K flagship? And is the XZ Premium really that much of an upgrade? To answer those questions we’ve compared the two phones across a range of categories, including price, design, screen, battery and camera. The Sony Xperia Z5 Premium had a predictably top-end price when it first launched, of £579/AU$1199 (around $955), but it’s since dropped to roughly £400/$480/AU$685, which is more of an upper mid-range price. That’s still not cheap, but it likely makes the Z5 Premium substantially more affordable than the Sony Xperia XZ Premium. Sony hasn’t confirmed the price of its new flagship, but we’d imagine it will be at least $1000/£600/AU$1200, which may put it out of reach for many users. The designs of the Sony Xperia Z5 Premium and Sony Xperia XZ Premium are broadly similar, with both sporting sharply rectangular shapes and slim dimensions of 7.9mm thick for the XZ Premium and 7.8mm thick for the Z5 Premium. They also both have large bezels above and below the screen, and both are dust and water resistant. And they both have a metal frame and glass back, though the XZ Premium has a slightly more shimmery appearance, with mirrored glass. Both phones are also exceedingly prone to picking up fingerprints. This is the highlight of both handsets, and they’re more similar than they are different, with both sporting a 5.5-inch 4K display. The Z5 Premium’s screen is brilliant, and the XZ Premium’s display is sure to be at least as good, though both are a little lacking in content that makes the most of them. Where the XZ Premium really has the edge is in that it also supports HDR content. Stick a 4K HDR video on during your commute and you’re sure to attract the envious gaze of other passengers, as that combination is something no other phone can display. The Sony Xperia Z5 Premium doesn’t have great battery life, regularly needing a charge before bed time, and that’s despite having a fairly large 3,430mAh juice pack. That’s a worry, because it’s likely the 4K screen that’s to blame, yet the equally sharp Xperia XZ Premium actually has a smaller 3,230mAh battery. We’ll have to put it through a full review before we can say for sure which phone wins out here, but it’s very possible that they’ll both be losers. The XZ Premium does have a few things in its favor though. Both phones support fast charging, but the XZ Premium adds clever Qnovo adaptive charging to the mix, which should ensure the battery doesn’t wear out as fast. The Xperia XZ Premium also has a newer, more powerful, and more efficient Snapdragon 835 chipset powering it, in place of the Snapdragon 810 in the Xperia Z5 Premium, so hopefully every mAh of its battery will go further. The Sony Xperia XZ Premium likely has better cameras on both the front and back. We say likely because we haven’t had a chance to comprehensively test them yet, but early impressions are positive, and the Xperia Z5 Premium’s snappers are far from the best around. The Z5 Premium has a 23MP camera on the back, which can take highly detailed but slightly dull shots, while there’s a fairly standard 5.1MP snapper on the front. The Xperia XZ Premium meanwhile has a 19MP camera on the back, and that drop in megapixels is unlikely to do it any harm, given what the 12MP Samsung Galaxy S7 can accomplish. But the biggest change comes from new and improved modes on the camera, such as ‘Motion Eye’. This feature isn’t new, but is newer than the Z5 Premium, and it’s at its best here, capturing images before you even press the button to take a picture, to help make sure you get the best shot possible. The Xperia XZ Premium can also shoot slow motion video at 960 frames per second. It’s only in 720p quality, but it’s still quite impressive. And around the front the Xperia XZ Premium has a 13MP camera, which we’d expect will be far more capable than the Xperia Z5 Premium’s 5.1MP one. All that said, the Xperia Z5 Premium’s cameras are far from awful, in fact they’re good, they’re just not up to the standards of the latest and greatest flagships. The Sony Xperia XZ Premium looks to be an upgrade on the Xperia Z5 Premium in a number of key ways. It’s got a more feature-packed camera, more power, a tweaked design, a smarter battery and an HDR screen. But you’d expect big improvements like these given that it’s both a lot newer and a lot more expensive. And surprisingly it might actually be a downgrade in one of the most important ways, as it has a smaller battery than the Z5 Premium, despite that phone already having lacklustre life. That’s a serious concern, and we won’t know if the XZ Premium exceeds its specs there until we’ve put it through a full review, so you should probably wait for that before putting any money down. But if it does it looks like the complete package could well be the upgrade you’d hope, and then some.